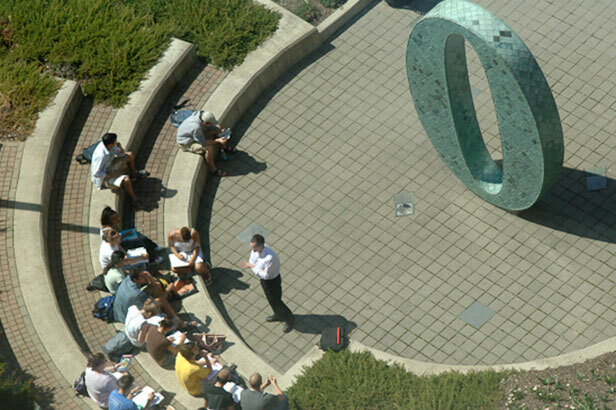 The Ohio State University Mathematics and Statistics Learning Center (MSLC) provides support services for student learning and for tutors and instructors of lower-division mathematics and statistics courses. The philosophy of the MSLC is that continuous improvement in student performance and instruction is achieved through just-in-time availability of needed resources. The main purpose of the MSLC is to enhance student learning and improve instructional delivery. 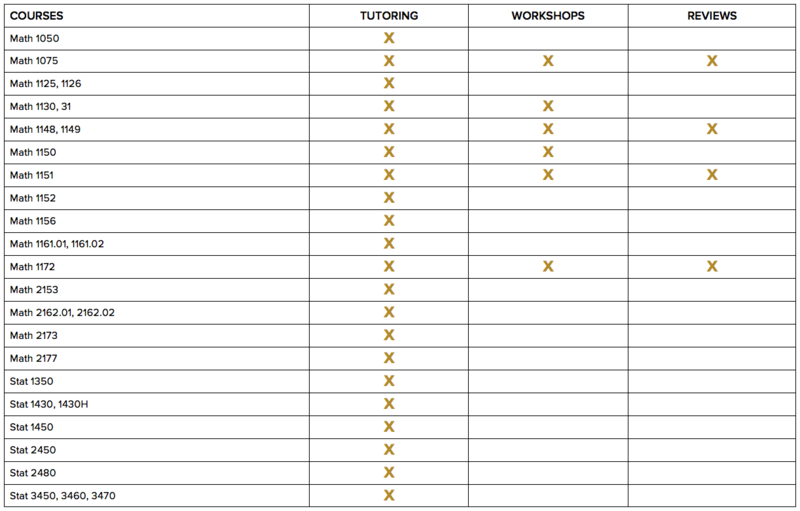 The MSLC offers drop-in tutoring in over 35 mathematics and statistics undergraduate courses. Students are offered flexible times to receive tutoring during the day or evening. Provides additional learning resources for students who are enrolled in many lower-level undergraduate and graduate mathematics courses. Resources are available to math students and instructors. This includes current textbooks and their supporting materials, such as student solution manuals, alternate textbooks, computer aids, and instructional videos. Content Workshops—The MSLC offers a variety of content workshops on topics that are particularly difficult for students. These workshops often include the use of technology to enhance the presentation of the material and the student learning experience. The MSLC offers exam reviews for most of the large enrollment mathematics courses. These reviews are held in large lecture halls, usually a few days before the exam. A review sheet, along with answers, is provided by the MSLC for each exam. Undergraduate math tutors and graduate teaching assistants provide learning assistance. Tutor rooms are located in Cockins Hall and the Mathematics building.